International ecommerce is the biggest growth opportunity for online merchants today. Few growth strategies could potentially double or triple the size of your business. You only need look to British online retail success stories, such as ASOS, to see how a properly implemented international strategy can transform your business. Today ASOS receives 57% of their orders from abroad. Brands, like ASOS, have capitalized on this opportunity through providing their international buyers with a fully localized, end-to-end shopping experience. So why aren’t more retailers doing this? In short, because it’s complicated. In order to provide a fully localized experience, you need to consider a whole raft of topics ranging from language and currency at one end, through to tax, import duty, legals, and all the way through to marketing, customer service, payments, shipping and so much more. The mistake, however, is to think that you have to localize all these components from day one. Instead, lean localization offers a low-risk approach that you can embark upon immediately. Much of agile and lean methodology, revolves around the idea of identifying the minimum actions required to validate an opportunity. Lean localization applies the same concept to international expansion. Identify the minimum set of actions required to validate a market. If you succeed and begin to gain traction, then build a business case, and invest further. In some markets, your business will flourish and grow, but in others, it simply won’t get off the ground at all, and it’s often difficult to predict which markets these will be until you’ve started trading in them. Therefore don’t invest heavily in a specific market before you’ve validated the opportunity. Many online stores already receive 10%-20% of their traffic from abroad. 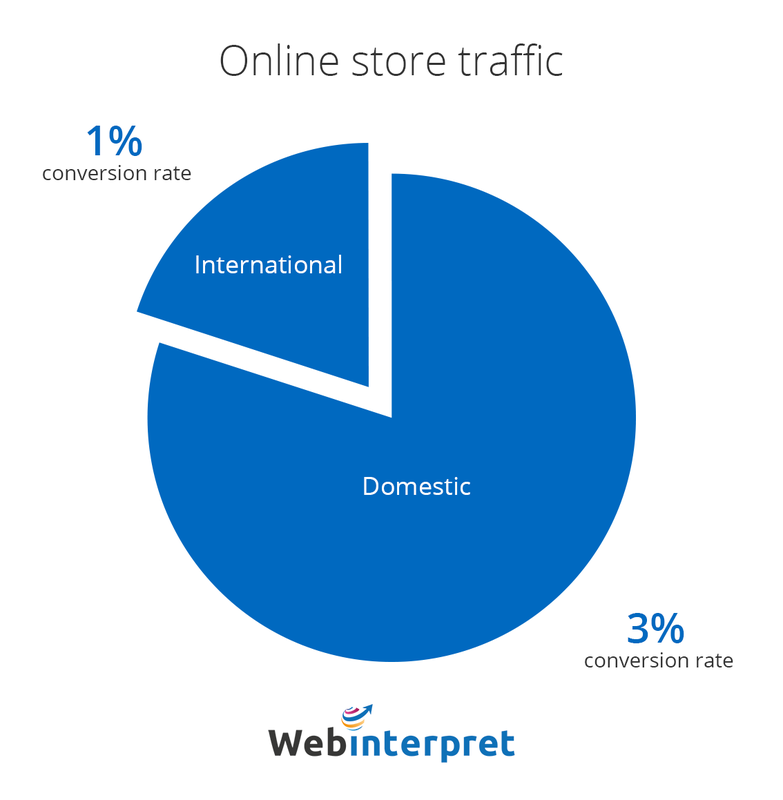 This international traffic, however, tends to have a much lower conversion rate than the store’s domestic traffic. It’s a trend that we see, even in markets that share the same language. For example, UK retailers receive organic search traffic from the US and Australia, and although they share the same language, the traffic still converts at a much lower rate. This is because many components of localization, beyond language, have yet to be optimized. At the top of the funnel, we have 100 international visitors, as they progress through the funnel, we lose visitors, until finally, at the end, we have just one order. Changes made to the bottom of the funnel, i.e. the final stages of the buying process (cart & checkout) can have a huge impact on the overall performance of the funnel. For example, common reasons why merchants lose international sales in the checkout is because they don’t support multiple currencies. If, by supporting an additional currency, you can generate 2 orders, rather than 1. You’ve had the same impact as if you’d doubled your entire marketing budget and put 200 visitors in at the top of the funnel. 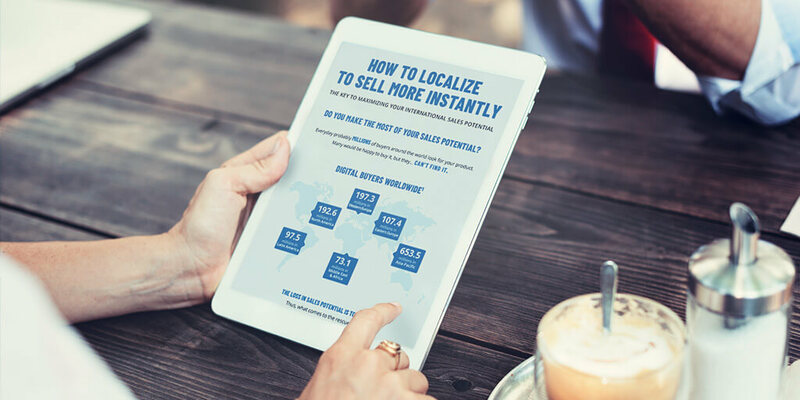 Mapping localization components to the buying funnel will help you identify which components are likely to have the greatest impact on your conversion rate. Working up from the bottom, is the most prudent way to improve the performance of your funnel. 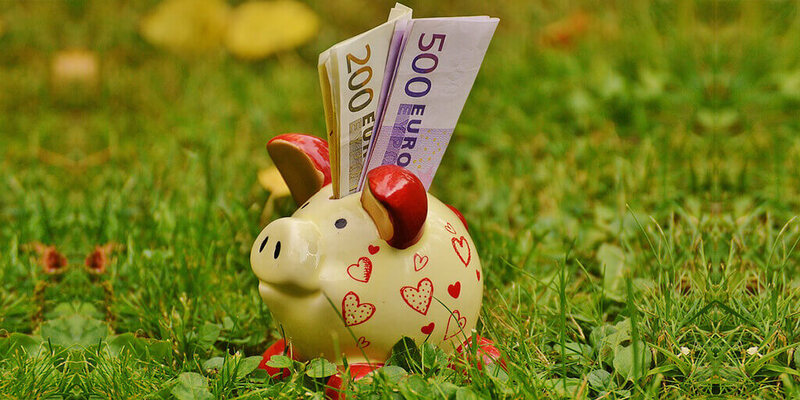 For example, adding additional currencies, or more competitive shipping rates, in the checkout, will have a compound impact on the efficiency of your international marketing. You will see a much better return on investment on your marketing, and therefore it makes much more sense, to make changes at the checkout before trying to optimize your marketing. Start optimizing the shopping experience for your existing international buyers today. Don’t paralyze yourself through trying to solve everything at once (it’s a big topic). Ruthlessly identify the most important areas that you need to improve, to increase the conversion rate of your international traffic. Be pragmatic and data-driven in your approach to prioritization and use your buying funnel. Don’t overly worry about budgetary constraints at this stage, work with the traffic you have, make small, strategic investments, into impactful improvements at the bottom of your buying funnel. 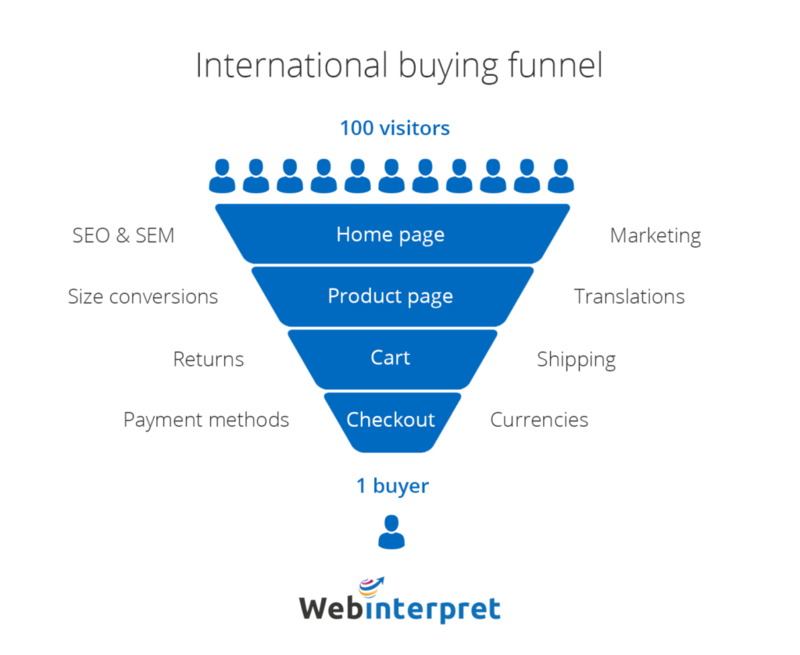 One of the simplest changes you can make, to massively improve the conversion rate of your international traffic, is to offer competitive international shipping. Again, ASOS is a great example of successfully employing a good shipping strategy, to penetrate and validate international markets. They offered free worldwide shipping, knowing that they were losing money doing so. They had no international fulfillment centers and were fulfilling everything from their central warehouse in Barnsley, in the UK. They chose to absorb this cost, instead of treating it as a marketing cost. It enabled them to get massive market penetration and validate the international opportunity. Once they did that they optimized their operations, with international fulfillment centers, but crucially at that stage, they had a business case to do so and knew exactly which markets to invest in.